497. Fan-blower. 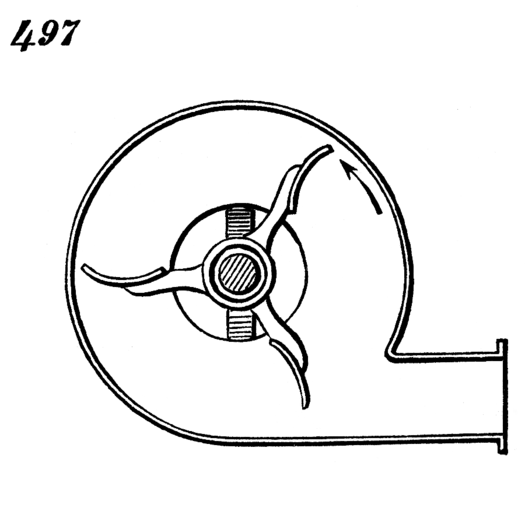 The casing has circular openings in its sides through which, by the revolution of the shaft and attached fan-blades, air is drawn in at the center of the casing, to be forced out under pressure through the spout.